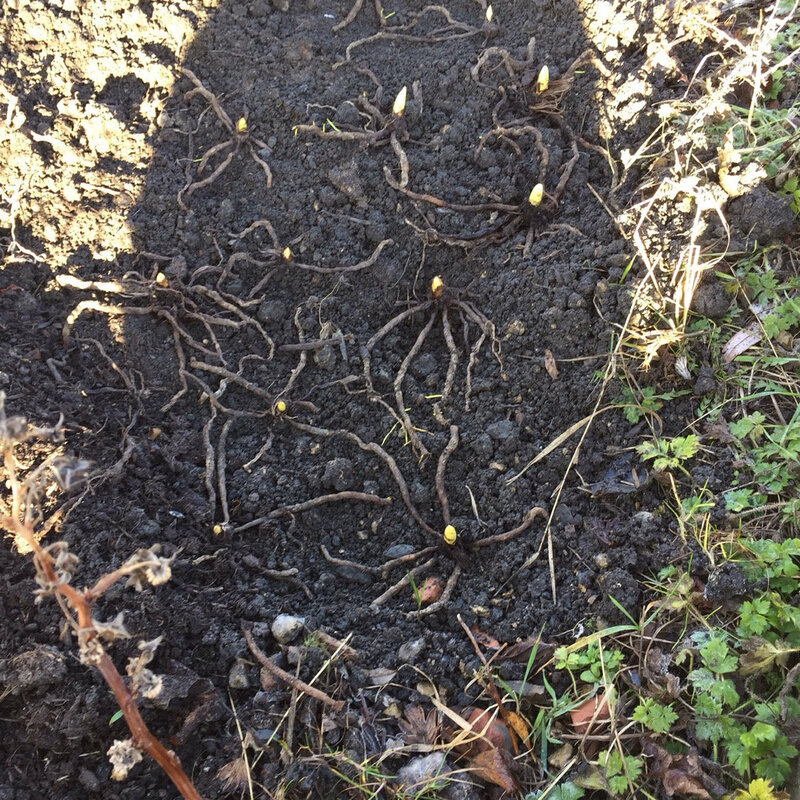 I have dug up some eremurus in order to remove couch grass from the bed. I'm reluctant to replant in the same place until I'm sure I've removed the grass roots. Does anyone know how these are best stored until autumn? I could find very little advice on the internet. I'm sure when I have purchased them they have arrived brown as if dried but I also saw a note about keeping them in the fridge. Does anyone have any advise please? Originating from Asia and subject to very cold but very dry Winters , I would be inclined to pot them in a gritty compost mix (almost dry) , then overwinter in a cold greenhouse or cool porch/conservatory . Plant out in Spring in desired position ; after all , why subject them to needless Winter dampness and rain when they are dormant anyway ? Hi Paul, I could plant them in Spring, that didn't occur to me. I have a large shallow tray, I might use that as I have 19 now I've separated them. I ended up stacking them in dry compost in aquatic pots as I thought it would keep them drier. As it is I forgot about them and that kept them very dry. Planted them out today in the least soggy part of the allotment in three clumps and will see how they get on. They are not the most reliable plant in the garden but I can spare the allotment space. These are all yellow when they flower. Glad the Eremurus survived ! The only thing to be careful of when planting out is to avoid root breakage , as it can lead to rot . Good luck with them and hope they flower well for you . Thank you Paul 🙂 I think I broke a few roots when I first pulled them all apart last summer but I thought they might not flower conjested. Plus they were wrapped up with couch grass roots. Didn't break any today but they were still quite bendy for saying they hadn't had any water for months.